With the advancement of technology, digital advertising has emerged to be the most effective form of marketing. Impressive websites are credited for making businesses successful. The more eye-catching your website is, the more traffic you will encounter on your website. Your website reflects your business type and you must work hard to make it attractive and unique. The success of your business is directly proportional to the success of your custom website. 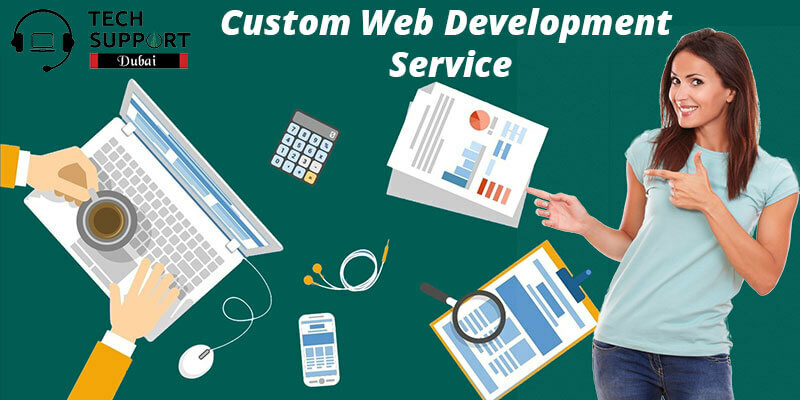 Custom web development refers to the development of a website based on the need of a particular business. Want to implement this technology to enhance your webpage? Communicate with our experts for top-notch custom web development services. Why custom web development is a must to promote your website? It provides you with unique as well as personalized solutions for your site. Be it innovative images or logo, it helps in promoting your business. By using custom web designing, you can manage your business requirements without worrying about the size of your business. Additionally, you can use your website for multiple platforms. You get control and security with custom web development and you need not depend on other software. Want to give your website a new outlook? Custom web development company in Dubai is your best choice. We at TechSupportDubai provide you with appropriate help. After you let us know about the above requirements, we work accordingly. Worried about our service quality? We tell you not to as we have years of experience in the field of web development. We do not want you to compromise with your business standards. You can easily rely on our experts at Tech Support Dubai for custom web development services. By calling us on our helpline number : 042053349 you get appropriate solutions for your website. You can also avail our live-chat session to interact with our team of professionals. The tools we use for building your website are genuine and advanced. Hence, put all your burdens on our shoulder and experience a wonderful web developing experience. We also provide Joomla web development service in Dubai.